Last month, when I share my favorite Chewy Chocolate Chip Cookie Recipe I knew I wanted to “play” with the recipe and see how it would work as a base for lots of other yummy cookies. 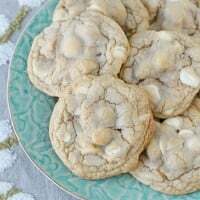 I’m happy to report that by simply swapping out the chocolate chips I was able to make delicious White Chocolate Macadamia Nut Cookies! The dough is rich and flavorful and has just the right balance of textures (slightly crisp edges, chewy center). 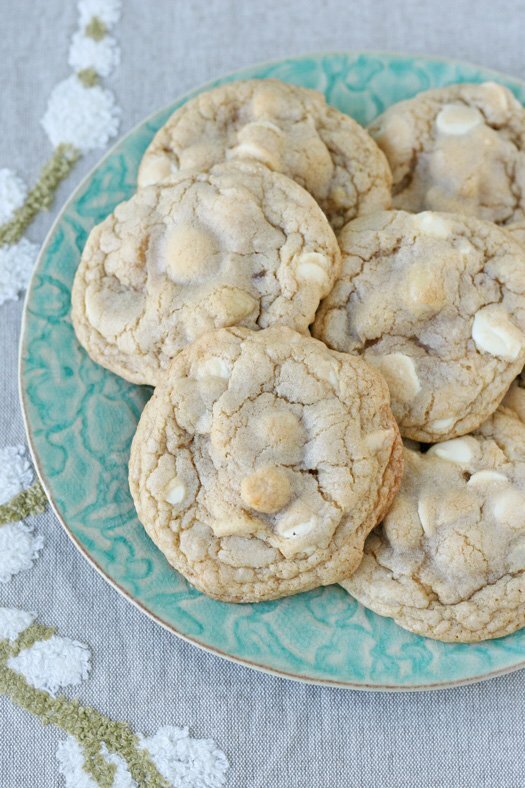 It worked perfectly with the classic combo of white chocolate and macadamia nuts! I was tempted to add some dried cranberries as well, and I think I will another time. This recipe produces delicious, chewy cookies with a classic flavor combo! In one large bowl add flour, baking soda and salt and set aside. Melt the butter, then add to another large bowl, or the bowl of an electric mixer. Blend melted butter with both sugars, and beat (or stir vigorously by hand) until the butter and sugars are well combined and the mixture is smooth and shiny. Add the egg, then the egg yolk, and continue to beat until fully incorporated. Pour flour mixture slowly into the mixer, then add the nuts and white chocolate chips and blend just until all the flour is incorporated. Preheat oven to 350*F and move the bowl of cookie dough to the fridge for 10 minutes (while the oven heats up). Scoop the batter (using a 2 tablespoon cookie scoop) onto the parchment paper lined baking sheets. Bake cookies, one baking sheet at a time for 10-12 minutes (I usually bake mine for 10 minutes). Remove the cookies from the oven when the edges of the cookies are just BEGINING to get golden brown, and the centers of the cookies appear slightly under-baked. Allow the cookies to cool about 5 minutes on the baking sheets, and they will continue to cook, and firm up. Once partially cooled, carefully transfer cookies to a cooling rack. Keep the remainder of the dough in the fridge while you are baking the others. Keeping the dough cool will help the cookies keep their shape while baking. I used unsalted macadamia nuts (as listed), but feel free to use salted nuts and then reduce the additional salt in the dough to 1/4 teaspoon. I really like to bake these cookies on parchment paper, as noted. Feel free to use Silpat lined baking sheets, or lightly greased baking sheets, but your results may not be identical to mine. Be careful not to over bake the cookies, or they will not have the soft, chewy texture I've described. Be sure to remove the cookies from the oven while they still appear to be slightly under-baked. Oooooo! These look just lovely! 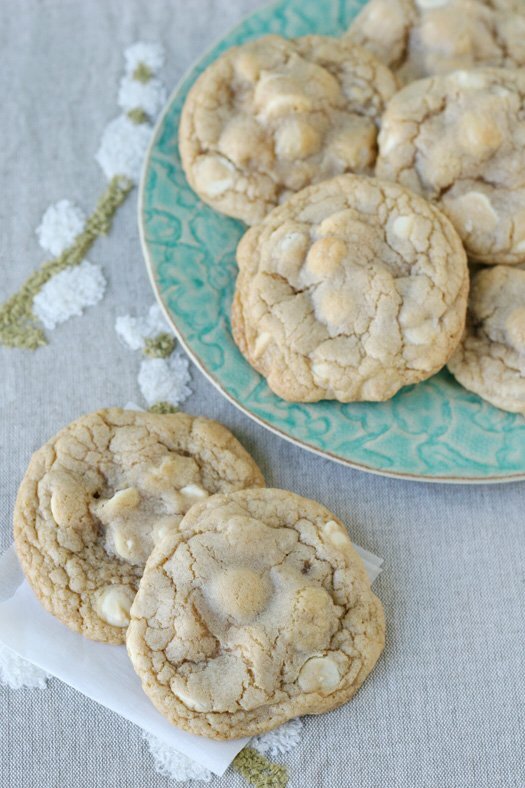 I have a real soft spot for white choc macadamia nut cookies! I’m definitely going to have to try these! Thanks so much for posting this! ! ! 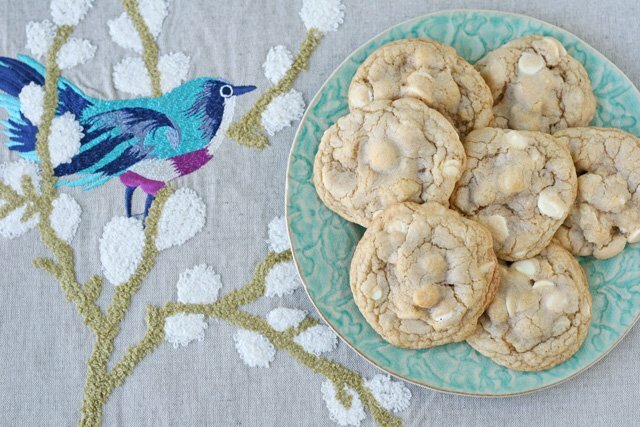 I love white chocolate macadamia nut cookies, and yours look like perfection! I love white chocolate chips (well, the Ghirardelli ones, that is), and macadamias, but my family doesn’t (on the white chocolate). So, these would be too tempting around my house, for ME! I will just enjoy here, thanks, Glory! Oh, yummy! I love macadamia nuts! I saw this on your Instagram, and immediately had to come see because of that placemat! I love it, a gorgeous backdrop! The cookies look good too! Thanks Susie! As I mentioned in the post, the placemat(s) were a gift from a friend, but I think they were from World Market. 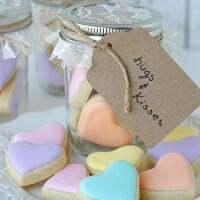 I would use the twine on Xmas baking packages for my neighbours! Yum! 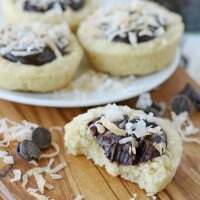 I’ve never made these because I don’t like buying the expensive macadamia nuts, but they are one of my favorite cookies to eat. I may break down and get some nuts to try out your recipe. Love you! 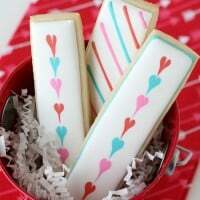 One of my favorite types of cookies! I totally agree that having a recipe where the ingredients can be swapped out is the best, especially during the crazy holiday baking season. And the place mat is just beautiful! What a nice gift from an old friend. Is it ok if the butter isn’t melted? My mother insisted not to, for some reason. Yes, you can do either way you want, but the melted butter will result in a chewier, less fluffy texture, which is what I prefer.